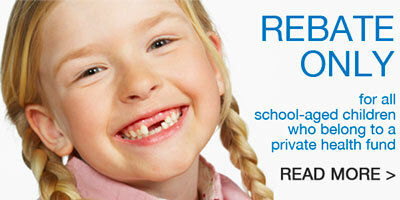 At Newmarket Dental, we offer a variety of options to pay for treatment. Payment is required at the time of treatment unless prior arrangements have been made. We accept payment for treatment with Cash, Bank Cheque or EFTPOS. Direct deposits can also be made prior to treatment commencing. We accept payment for treatment with Mastercard or Visa credit or debit cards without a surcharge. We welcome members of all private heath funds for treatment. For health funds participating in the HICAPS electronic claims system, we can process your rebate on the spot and only the “gap” payment is required at time of treatment. If your health fund does not participate in HICAPS (click here to see a list of participating funds) or you do not have a HICAPS compatible member card, then payment in full is required at the time of treatment. Your health fund will then pay the rebate directly to you on presentation of your account.